Just as Darwinism removed the need for a creator in the sphere of biology, a new series of theories have rendered redundant the role of a creator for the Universe. “Because there is a law such as gravity, the Universe can and will create itself from nothing. Spontaneous creation is the reason there is something rather than nothing, why the Universe exists, why we exist,” he writes. Hawking writes that the first blow was the confirmed observation in 1992 of a planet orbiting a star other than our Sun. “That makes the coincidences of our planetary conditions — the single Sun, the lucky combination of earth-sun distance and solar mass — far less remarkable, and far less compelling as evidence that the earth was carefully designed just to please us human beings,” he writes. He predicts that physics is on the brink of writing a theory of everything, a single framework that can entirely explain the properties of Nature. Such a theory has been the holy grail for physicists since the time of Einstein, but until now it has been impossible to reconcile quantum theory, which explains the sub-atomic world, with gravity, which explains how objects interact on the cosmological scale. Obviously, one would have to read Professor Hawking’s new book to get a full grasp of his arguments and reasoning before responding or commenting. However, from the article in The Times, it appears that several ideas have unfortunately been mixed in an erroneous manner. First and foremost, God is not a factor that one adds or removes (as unnecessary) in an equation or a model for the beginning of the Universe or any part of Science. All scientists, theists and atheists, subscribe to Methodological Naturalism, whereby all explanations for phenomena of nature and the universe must exclude supernatural agents. God, however, is an interpretation – not an explanation – given by believers for the existence of the universe, life, intelligence, consciousness, humans, and everything that we witness. When we became able to fully explain celestial motions, lightning, diseases, mental disorders, and many phenomena around us, we did not conclude that “there is no place for God anymore”. Secondly, one should not mix the “cosmological argument” and the “design argument” for God, whatever value one may find in either one. 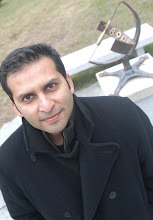 The first one argues that the existence of the universe/multiverse (which is described by science) can be interpreted in reference to God, whereas the second argues that the precision and harmony of “creation” (all objects, including but not limited to earth and humanity) can be interpreted as a sign (not proof) of a God behind it. These arguments are subjective, optionally left for humans to accept or reject; they are not part of science and should not be placed in opposition to scientific theories and progress in our objective knowledge. Thirdly, even Darwinism has two aspects: the objective part and the subjective, interpretative part. No real scientist doubts evolution, though some argue about aspects of the theory (more or less emphasis on natural selection, full randomness or constraints in the evolution of nature, etc.). However, the interpretation of what evolution and its features mean is open for debate. Many great scientists of all times have found no difficulty in balancing the facts with their own theistic or atheistic interpretations of evolution or cosmology, but it would be a serious mistake to insist that philosophical and religious interpretations must be rigidly ruled by science. Lastly, when Hawking writes “Because there is a law such as gravity, the Universe can and will create itself from nothing”, he is already postulating the existence of gravity and the laws that will lead to the creation and evolution of the universe. Shouldn’t we ask about the origin of gravity and all features of the universe? Many of us scientists and thinkers doubt that full explanations of everything can be complete and self-contained, with no need for a metaphysical principle like God. Thanks for posting your comments here. I did not pay the 1 pound subscription to see it on Times. By the way The Independent and The Guardian allow you to view their articles and comments for free. This reminds me of the old argument some people make that there was energy in the beginning and matter was created from it. So, there is nothing new in what Hawking is saying. He has just revised the argument and dressed it with new clothes of the Emperor. One commenter on Jerry Coynes blog summed Hawking's idea well. He says "In the end it will be clear that Hawkings has not disproved God, but only made him redundant." On this video Hawking also said "Science will win because it works." Can't understand why he took so many years to realise science works. In short, I think it is just media hype. The book is not that great. Dear Nidhal, Thank you for your thoughtful responses to Hawking. I particularly liked your distinction between God as an explanation and God as an interpretation: "God is not a factor that one adds or removes (as unnecessary) in an equation or a model for the beginning of the Universe or any part of Science. All scientists, theists and atheists, subscribe to Methodological Naturalism, whereby all explanations for phenomena of nature and the universe must exclude supernatural agents. God, however, is an interpretation – not an explanation – given by believers for the existence of the universe, life, intelligence, consciousness, humans, and everything that we witness." However, doesn't your last line then contradict that view? "Many of us scientists and thinkers doubt that full explanations of everything can be complete and self-contained, with no need for a metaphysical principle like God." Or am I misreading you? Wonderful post. I absolutely love the distinctions in the comments. Many thanks for your kind comments, additions, and requests for clarifications. Jamshed, I encourage you to take your science and your understanding of the world elsewhere than Harun Yahya’s website, which is full of erroneous statements and explanations and is not backed by any solid science. Justin, I am very glad you appreciated the distinctions I made in my post (and grateful for your kind note). Hope this is clearer; in all cases I truly appreciate the feedback and discussions. I haven't read Hawking’s new book, but I think where he might have a point in saying that God is not needed anymore in explaining the physical universe is when God is anthropomorphized as is often the case in the monotheistic religions. Ironically, monotheism is supposed to unify knowledge. "Ali, yes the problem of “initial conditions” ... "
As long as the beginning is attributed to something else, God is not eliminated. 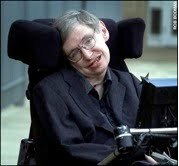 Why then does Hawking say "It is not necessary to invoke God to light the blue touch paper and set the universe going"? Hawking concludes that the Big Bang was an inevitable consequence of the laws of physics. "...well the majority of our fellow humans (especially Muslims) will say “but Religion works too, ..."
Because I agreed with everything that Nidhal said in his post, please let me add something here. You have made note of 2 main points. Not that Nidhal subscribes (or not) to such an explanation, but that he doubts whether full explanations can be complete without God. Thank you for your reply Nidhal. I agree that a fully natural description or explanation of the universe is not incompatible with a belief in God. However, I think that there is a problem in saying BOTH that a complete naturalistic description of the universe is possible, AND that an *explanatory* role for God remains. A complete naturalistic explanation would have to include ALL the relevant causes and events. Either God plays a causal/explanatory role or he doesn't. If he doesn't then he is not necessary for a complete explanation. If he does, then no naturalistic explanation can be complete. That is why I liked the explanation/interpretation distinction. But perhaps Nidhal you intend something stronger: that naturalistic explanations of the universe are necessarily incomplete? I'm saying that: first, since God is an interpretation, not an explanation (at least not a physical one), even completely naturalistic explanations/descriptions of the universe will not remove him as an idea/concept; second, it seems very unlikely (to me and to others) that a fully self-contained explanation of the universe and its features (including the questions of meaning, value, etc.) can be produced. Einstein's Special Theory of Relativity is probably the best known scientific equation. I revised it to help better understand the relationship between divine Essence (Spirit), matter (mass/energy: visible/dark) and consciousness (fx raised to its greatest power). Unlike the speed of light, which is a constant, there are no exact measurements for consciousness. In this hypothetical formula, basic consciousness may be of insects, to the second power of animals and to the third power the rational mind of humans. The fourth power is suprarational consciousness of mystics, when they intuit the divine essence in perceived matter. This was a convenient analogy, but there cannot be a divine formula. Very interesting topic. I wonder creationists ask if everything was created from a big bang then who created that big bang. They should also think if there is a God who created that God. I should also point out that gravity IS A SCALAR FIELD, and that Guessoum should get his facts straight before posting some non sense. If his knowledge of M-Theory and String Theories come Scientific American like articles, he should say so before embarking on ship where he does not belong. I cannot say whether there is a God or not. It depends on how you define God. What I can say is that Godel’s Incompleteness Theorem rules out a complete Theory of Everything (TOE). Ironically, this is the definition of the TOE used by Professor Hawking, as evidenced, for instance, by his including the Goldbach conjecture formulated as a physical problem – in terms of wooden blocks – as part of “the theory of the universe”, as he puts it in his website. Applying Godel’s Incompleteness Theorem to the root mathematical axioms shows that the mathematical system is either inconsistent, which we can rule out, or that it is incomplete, ie, there are some true statements of the mathematics – manifest as phenomena in our universe – which cannot be deduced from the root axioms and, therefore, which cannot be predicted from the TOE either, since it is, itself, derived from the root axioms. So, a TOE derived from the root axioms of the type envisaged by Professor Hawking is incapable of predicting all the phenomena in the universe. That is the irony. 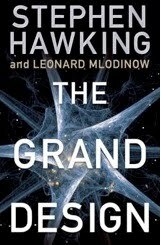 In “The Grand Design”, again, Hawking makes no mention of Godel, although this is less surprising if M-theory is regarded as a “conventional” TOE, which does not attempt to explain all phenomena. However, there is a final twist to the tale. While Godel’s Incompleteness Theorem shows that an all-encompassing TOE, which predicts all phenomena, cannot be derived from the root axioms, it is nevertheless true that a TOE which does predict all phenomena could, in principle, be written down without deriving it. It would simply not be possible to prove, in this universe, that what had been written down was, indeed, the genuine TOE. This, and other aspects of the TOE, are discussed in my website, www.godel-universe.com.